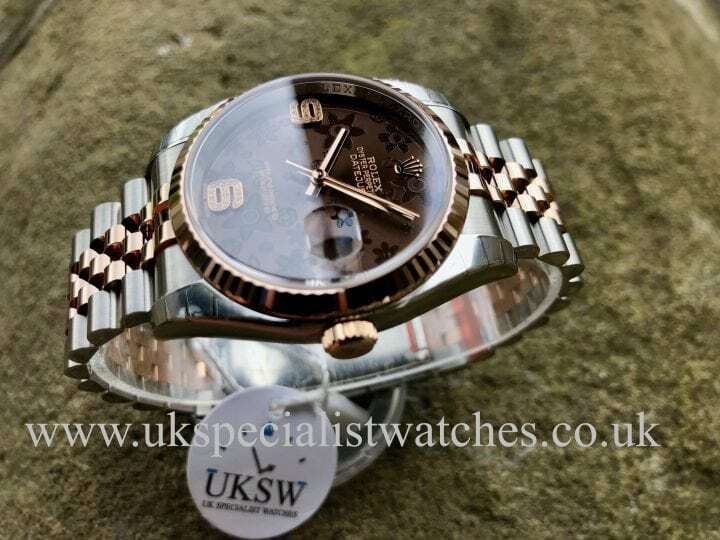 Rolex Datejust with a 36mm stainless steel case, solid 18ct Rose Gold fluted bezel and crown. 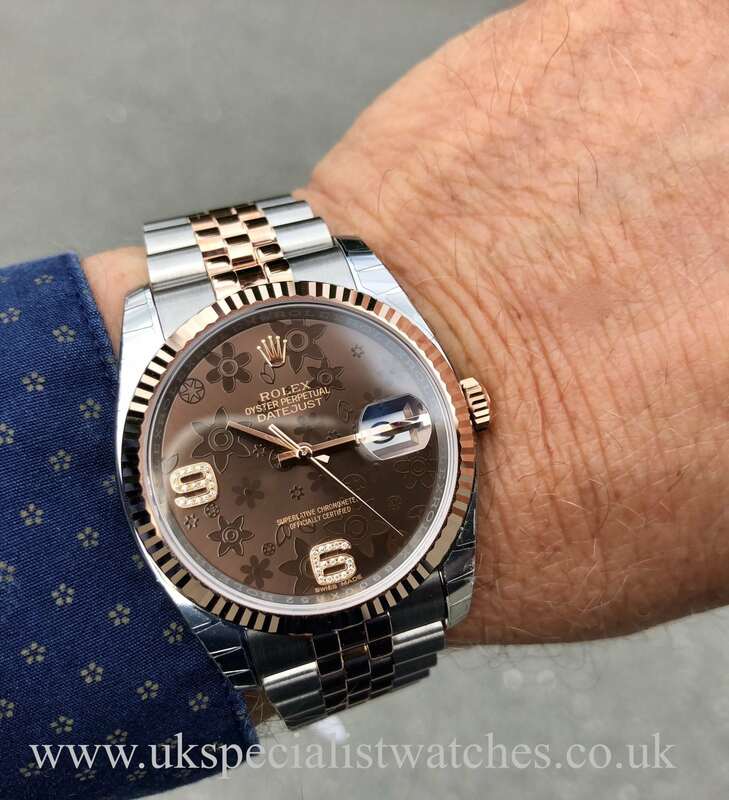 Stunning factory Rolex chocolate floral dial with diamond set 6 and 9. 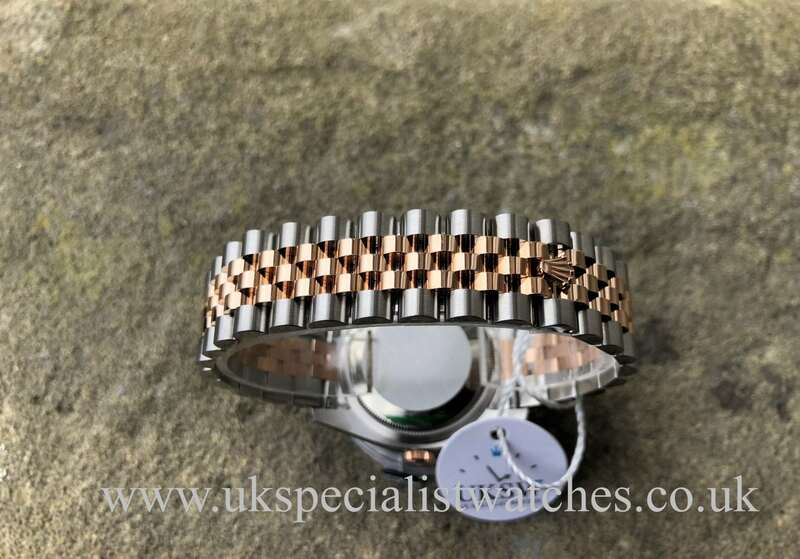 Fitted to a solid link 18ct rose gold and stainless steel Jubilee bracelet and concealed double folding clasp. 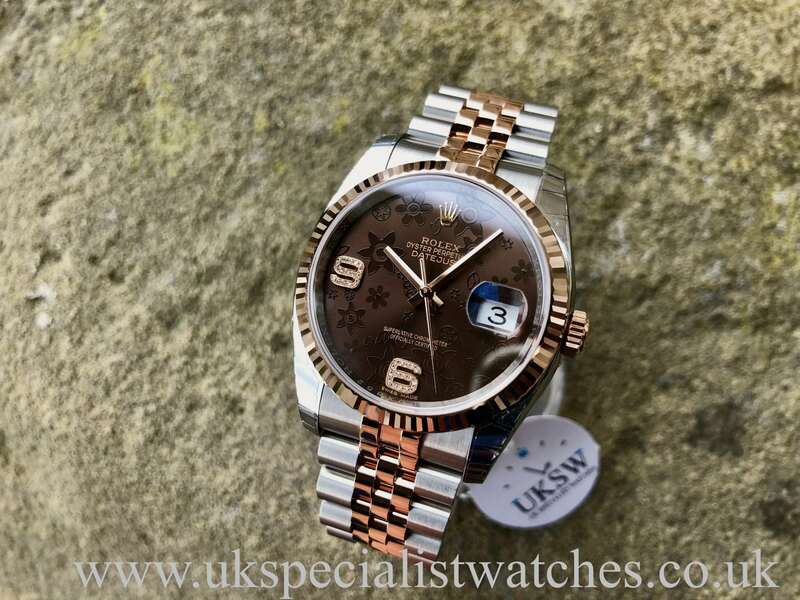 Our UNWORN example still has all case and bracelet stickers intact. 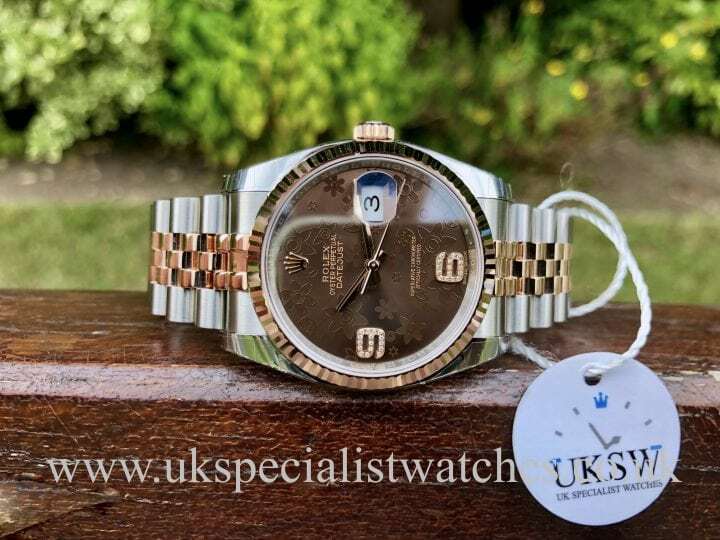 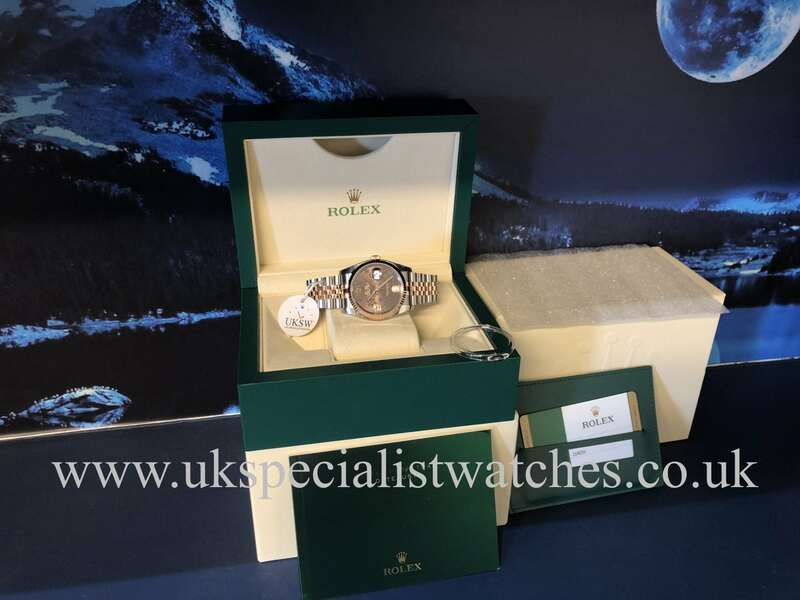 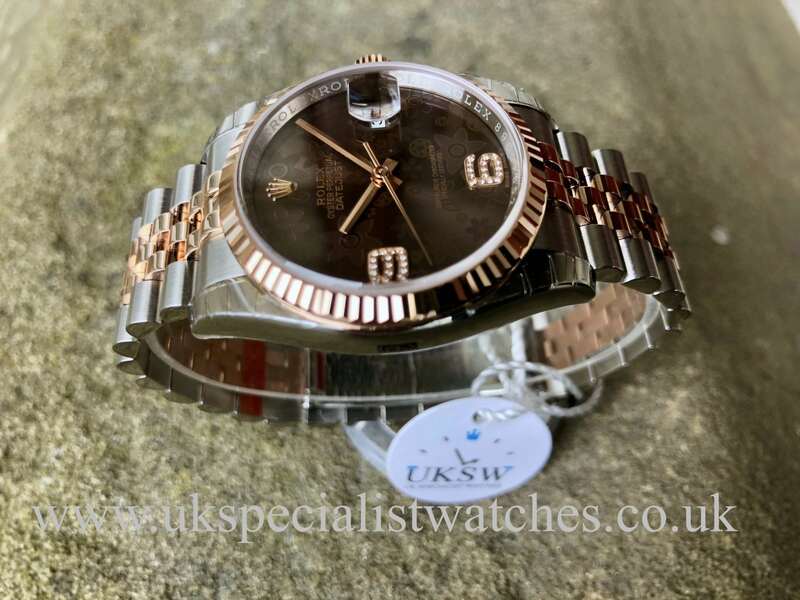 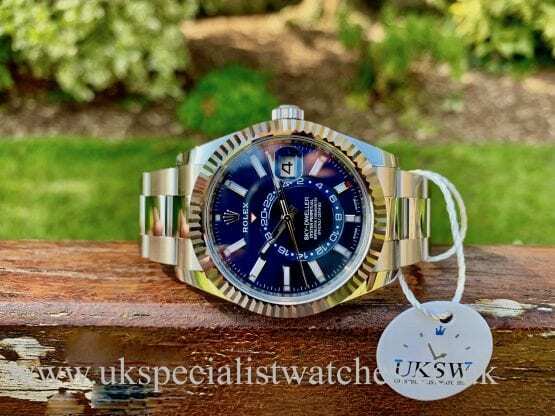 Supplied new Novemember 2016 and comes complete with box, stamped warranty card, instructions, swing tags and the remaining international Rolex 5 year warranty. Costs new today £10,150.00! 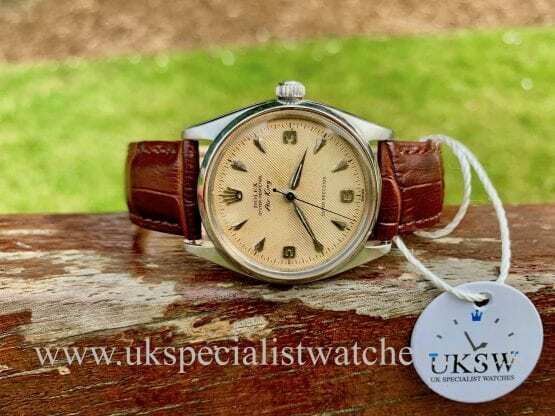 – This dial has now been discontinued making it a great investment.